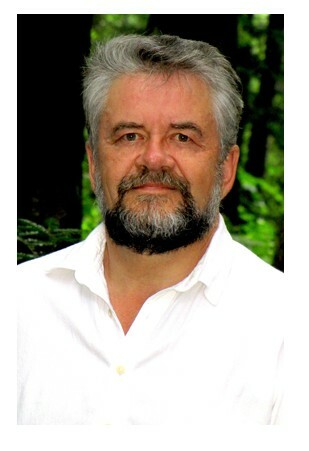 Denis Chagnon, is helping others to heal with energy. He has healed himself from cancer by channelling Divine energy. He uses the Divine energy to heal physical, mental, emotional and spiritual dis-ease. Over 75% of his clients have been referred to him by the traditional medical community in Ottawa-Gatineau regions. Denis came into his healing abilities quite by accident. He is a retired police officer, who in 1996 was diagnosed with terminal cancer, and given just 3 weeks to live. He rejected chemotherapy treatment and pain medication, wanting to die with dignity. Quite by accident, he placed his own hands on himself to try to relieve his tremendous pain, and then felt energy flowing through his body. He found that the energy relieved the pain and improved his well-being to the point of having a complete recovery. Seeking to find out what had happened and why, Denis began to pursue healing and energy work. Quickly his capacity to access energy expanded and he became a very strong channel for healing for others. For Denis, the fundamental condition to being healthy is being grounded. Our human condition is largely shaped and influenced by our emotional body. Our 'negative' emotions can create imbalances that then cause dis-ease. Every dis-ease has an emotion attached to it. When you are grounded, you flood a negative (or challenging) experience or emotion with love. Grounding keeps the energy body clear and healthy. Denis teaches a powerful and transformational grounding workshop. While you can pray and meditate, ask God for help, or call in the angels, if you cannot ground this Light, then it is simply energy that is not being integrated into your body, and is not used to its full potential. Denis works from his home in Val des Monts Quebec, Wednesdays to Thursdays, from 8 a.m. to 7:30 p.m. On Fridays he does home and hospital visits for clients. At any one time, in his home, he is working on several clients at once. He places his hands on a person to connect with their soul and speaks to the soul about the imbalances in the body. The soul will either tell him how to heal the body or how to help the body die, and Denis has done both with extraordinary compassion, humility, and grace. Denis has dedicated his life to serving others. Denis teaches a specific form of grounding that centres you and helps to energetically reestablish and maintain the flow of energy through your body. He travels across Canada offerring both Grounding workshops and private healing sessions. He has taught his workshops in over 35 countries. Health is achieved and maintained by keeping our energy body clear. Click here for more information on Grounding.